Small gated enclave off Tamiami Trail and Goodlette Road. 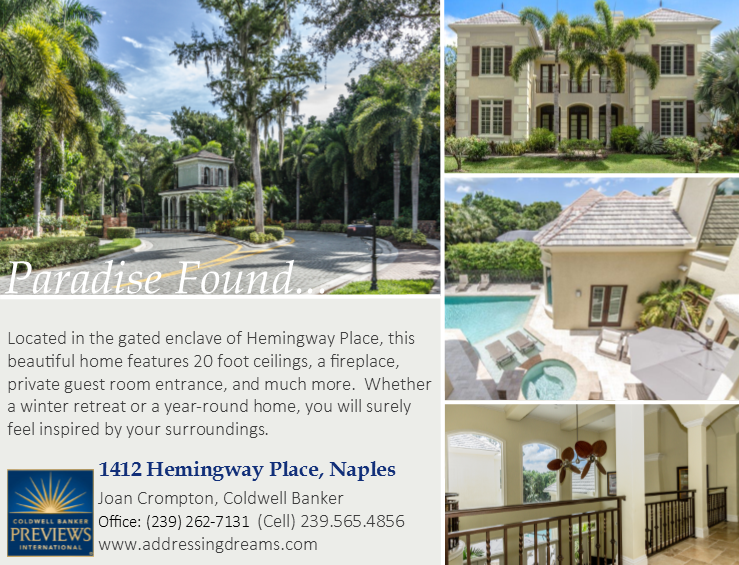 Only 17 custom luxury homes close to shopping, fine dinning, beaches, both regional and international airports. Updated Apr 25, 2019 9:54:am. Listings last updated Apr 25, 2019 10:20:am.